It has a slim silver body becoming white at the bottom, greenish blue back and distinctive red fins. A freshwater fish, the common roach prefers to feed in the deeper parts of water bodies but can be found in any water body deeper than 20 cm and wider than 1.5 m and will adapt to local circumstances. The spawning season for common roach is in April and May. Most often spawning occurs on sunny days. Roach will generally use the same spawning location as the previous year. It has been observed that big males form schools where the females enter and have their eggs fertilized by males trailing the female. The behavior is rough and the fish will often jump out of the water. The females can lay up to 100,000 eggs. When the pH of the water is below 5.5 the roach will not be able to reproduce successfully. 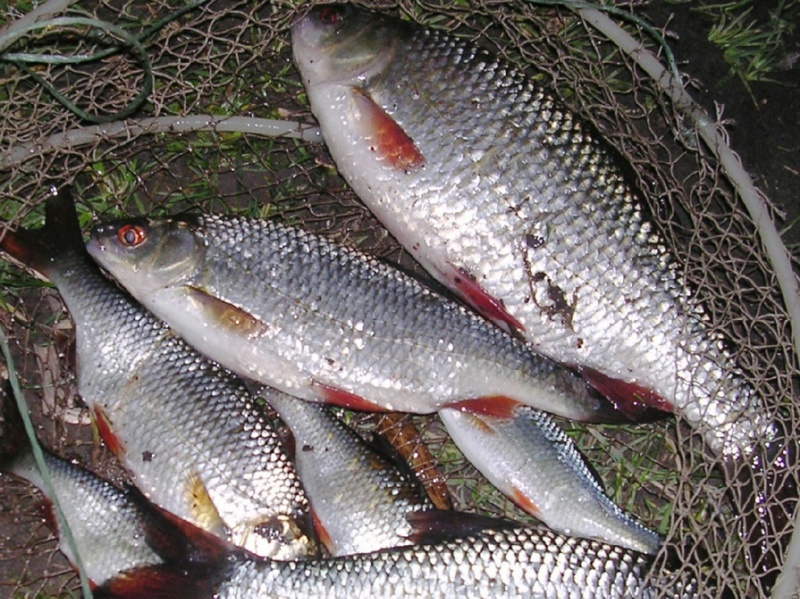 This common species is found in most rivers lakes and ponds throughout Britain. Common in Leicestershire and Rutland. It is found in our larger rivers (such as the eastern Sence, Soar and Wreake), in local canals (Ashby, Grand Union) and still waters.